Breakfast was acceptable 6/10. Staff friendly. Free parking on site. Dining area was ok but basic. The location was good, it’s a calm residential locality and easily accessible from M6. Beds were comfy, tv was a good size with good selection of channels. And after a long day it was nice to find a kettle with some tea and coffee. Welcoming staffs,quick check-in and they let us a late check-out without any charges which makes me gonna stay there again if getting down to Warrington again..
We didn't venture away from the hotel as it was a quick stop over before getting a lift to Manchester Airport the next day. Hotel is quite old fashioned in decor, but goes with the age and theme of the building. Rooms were a fair enough size, bathroom had everything we needed. 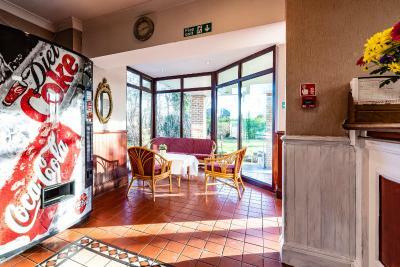 TV and coffee making facilities in room, hair dryer was available from reception. Staff were very helpful. Food was good and inexpensive. Bedrooms were comfortable. The Staff very good and helpful and made it a nice stay, Hotel itself is in need of modernisation, but was good value anyway. 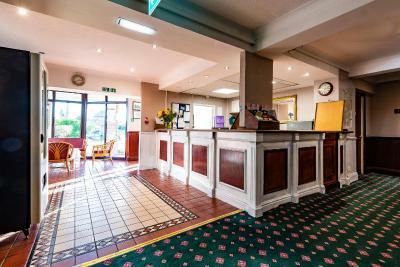 The hotel is just off the A57, less than 2 miles from both Warrington town centre and the M6 motorway. 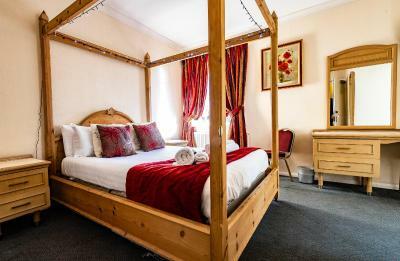 It has free Wi-Fi, free parking and en suite bedrooms. 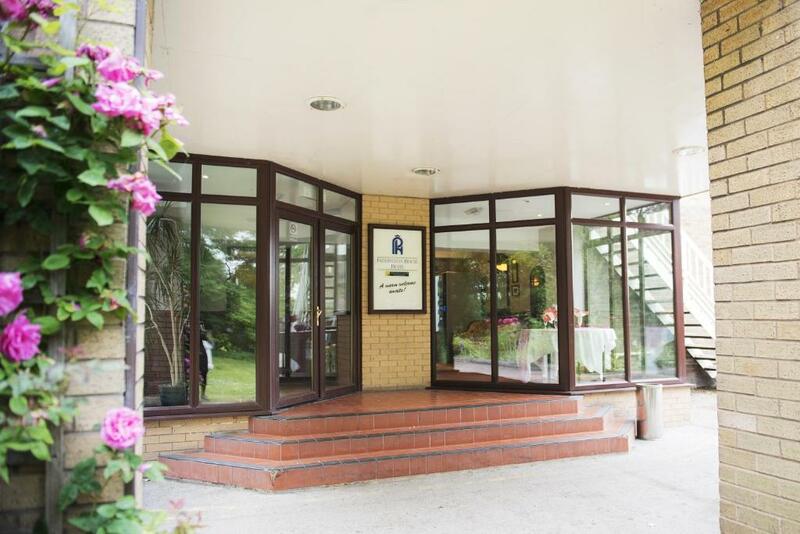 The Paddington House Hotel has easy access to M6 and the M62 motorways. Liverpool and Manchester are 30 minutes' drive away. 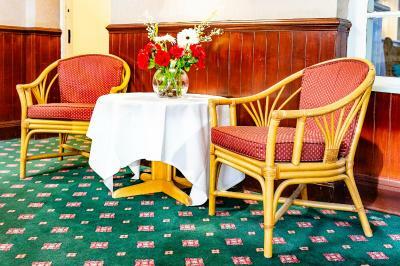 Paddington House has an oak-panelled bar and restaurant with a real fire and a garden area. Traditional cask conditioned real ales and wines are available. Bar meals are homemade and the specials change on a regular basis. 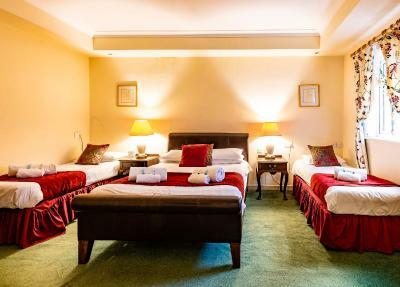 The en suite rooms have TVs, hairdryers, tea and coffee making facilities and trouser presses. 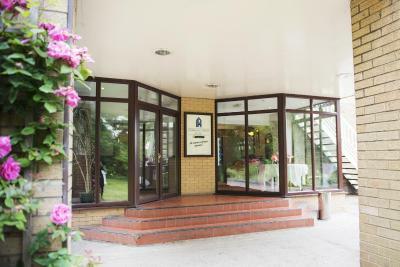 Paddington House Hotel has been welcoming Booking.com guests since 11 Feb 2010. 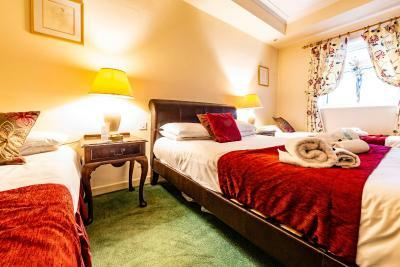 When would you like to stay at Paddington House Hotel? 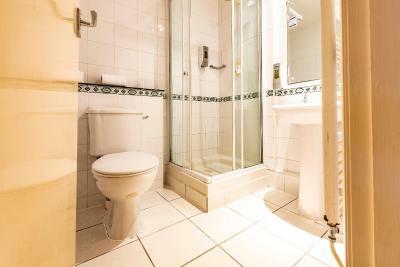 Featuring an en suite bathroom, this room also offers free Wi-Fi and complimentary tea and coffee making facilities. House rules Paddington House Hotel takes special requests - add in the next step! Paddington House Hotel accepts these cards and reserves the right to temporarily hold an amount prior to arrival. 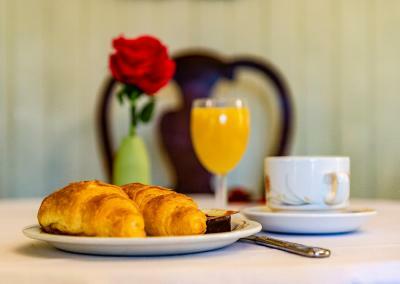 Between Friday and Sunday the hotel does not open for food unless pre-booked. Please note this property does not accepts payments with American Express cards. The noise from the water pipes in the bathroom every time I used them! No hot water for shower in morning. 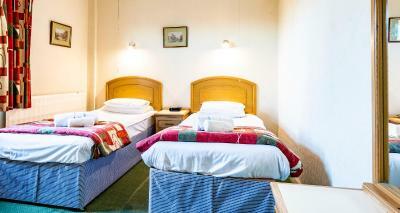 Beds were very poor quality with thin worn out mattresses. I could clearly feel every spring in the mattress. The other bed's mattress was so thin it was like sleeping on a board. 2/10. Building and decor very run down and not like the photos shown in promotion 4/10. Room was smelling on fresh paint, facilities old and worn. It was also very cold in the room! Only the location is good, otherwise awful place. Poor decor. Smell and very damp black mould everywhere. Bath room door did not shut. The room service was not good, stayed for two nights but room was not serviced in spite of notifying. The receptionist was kind enough to get us tissue, towels etc at midnight when we got back from Wales. Room was bit cramped for space if you are a family!! Very dated inside , very worn carpets etc old decor etc and the hotel is like a crazy maze to navigate around. Location is a bit remote here so either a car or taxi is needed. All of it apart from fresh towels!! The moment I handed the pointless key back!!!! Umcomfy bed. Only one bedside lamp. Breakfast not very warm. Was filthy, mouldy coving round ceiling, carpet all stained, cold water only in shower, mouldy white bread at breakfast. Firstly i wasn't offered breakfast when checking in, asked about restaurant and was told we only do curries and stuff and if we go across the road to the bar there would be a better selection to chooses from, not great when travelling with a 11 year old. 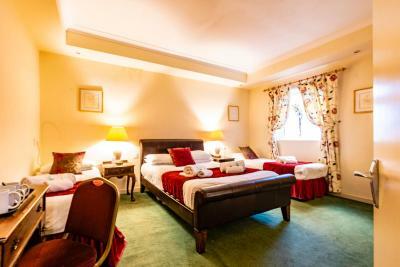 Secondly the room was absolutely terrible, Room 6, we had mould up the wall, stains all over the carpet, no heating just a convector, Bathroom was filthy including bath being chipped and rusty, my 11 year old and i just simply refused to use the shower and bath due to the uncleanliness, Bed & floor had crisps on them that must have been from previous occupants and my son commented that there were hairs on the pillow cases which he refused to use. Broken shower, broken toilet, mouldy ceilings and walls. Broken extractor fan in room. Thread bare carpets. 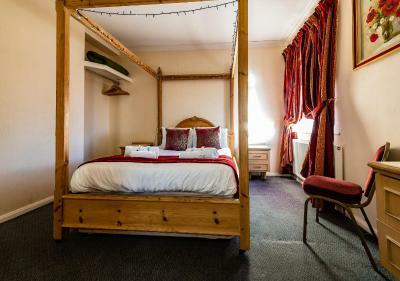 Uncomfortable bed in one room. Corridor smelled heavily of smoke.Dirty cutlery. And cold beans at breakfast. Requested two rooms close together and they couldn't have been further apart.